The Division of Compliance Assistance is split into two branches, the Environmental Assistance Branch and the Certification and Licensing Branch. Most of our regularly contributing authors for Operation Matters are members of our Operator Certification Program. These employees have had a hand in designing and writing the exams required for wastewater, drinking water and solid waste certification in Kentucky. With backgrounds ranging from private entities to state government, you can rest assured that you are receiving reliable and comprehensive information from our trained staff. Who better to learn from than the creators themselves? 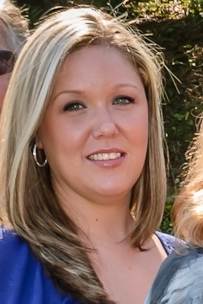 Jessica Wilhoite is the manager of the Certification and Licensing Branch. She provides direct oversight of the day-to-day operations of the certification and licensing program. She has been with the certification program since September 2001. Prior to her managerial position, Jessica was the primary contact for the drinking water certification applications. She has been instrumental in many of the changes and enhancements that have taken place in the certification process over the last several years. To contact Jessica directly, send her an email. Veronica Roland serves as the program coordinator for Solid Waste Operator Certification. She coordinates activities, such as the development of program practices as they relate to certification applications, continuing education and exam requests and the approval of courses for continuing education. In addition, Veronica serves the Kentucky Board of Certification of Wastewater System Operators and the Kentucky Certification Board of Water Treatment and Distribution System Operators as the recording secretary. She also processes requests for approval of continuing education from outside vendors. Veronica works with callers who have questions regarding certification in Kentucky, either through reciprocity with other states or through the normal certification process. She has worked for state government for 17 years and been with the Operator Certification Program since August 2005. To contact Veronica directly, send her an email. Dennis Minch has a B.A. in Chemistry from Bellarmine University. He has 42 years’ experience in various industries in the Commonwealth of Kentucky, the last 12 as the Environmental Chemist with Jim Beam Brands. At Beam, he was responsible for all regulatory permitting and reporting for air, water, wastewater and waste treatment. Dennis holds a Class IVA Drinking Water Treatment license, Class IID Distribution license, a Class III Wastewater Treatment license and Class III Wastewater Collection license. He has been with the certification program since November 2014, as a trainer for wastewater and drinking water operators. To contact Dennis directly, send him an email.